The building code is the minimum acceptable standard used to regulate the design, construction and maintenance of buildings for the purpose of protecting the health, safety and general welfare of the building users. The Physical Planning Unit within the Ministry of Housing, Informal Human Settlements, Lands and Surveys is charged with the responsibility of administering the building regulations. 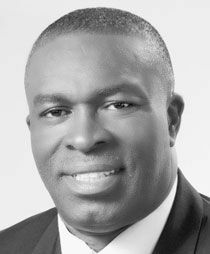 Minister of Housing Clayton Burgin has called on citizens, especially those in the construction sector, to appreciate the value and necessity of the building regulations, in order to derive maximum benefits. Burgin said the building code and guidelines are designed to assist all citizens to own a sound stock of buildings, which can withstand natural and man-made disasters. The Minister added that the implementation of the regulations is expected to have a positive impact on the local construction sector. Meanwhile, Physical Planning Officer Shelford Stowe pointed out that the building guidelines might be used for the design and construction of simple buildings, such as private dwellings and small retail shops, less that 2,500 sq. ft. in gross area and not more than 2 stories. For structures beyond 2,500 sq. ft., Mr. Stowe said that the building code, which is more technical, would be applied. Under these new building regulations, the officials from the Physical Planning Unit will conduct inspection at eight stages before, during and after construction. Additionally, plans will now have to include a plumbing as well as an electrical layout. Upon final inspection, a certificate of occupancy will be issued to citizens.